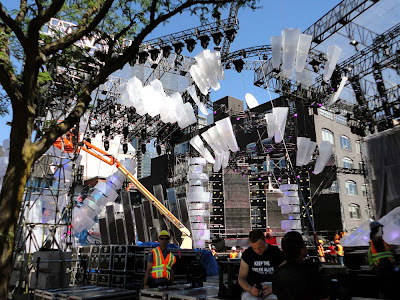 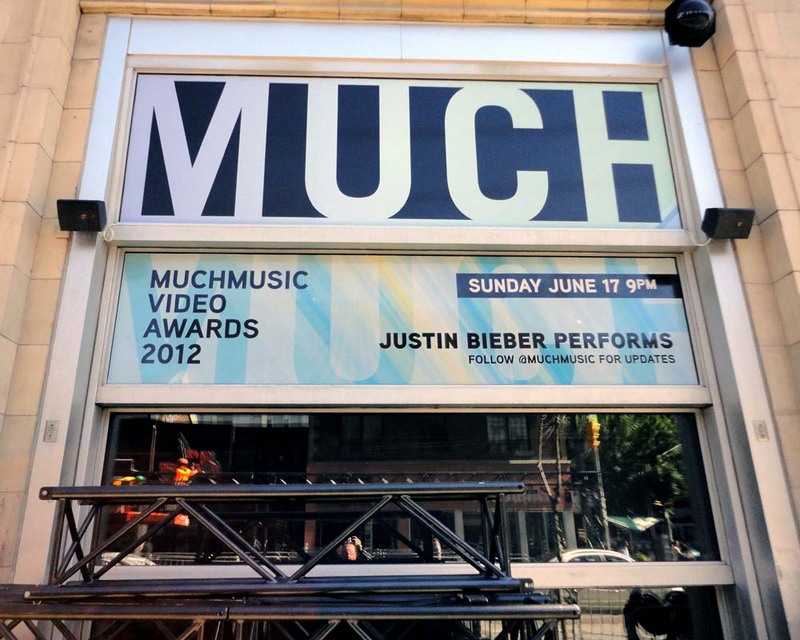 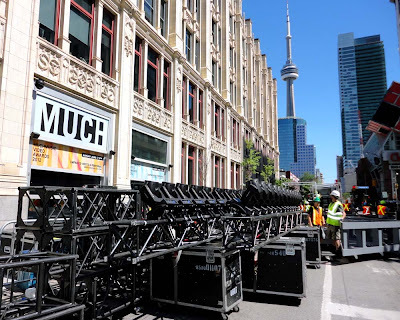 Sunday June 17, 2012 is the #Toronto @MUCHMusic Video Awards (MMVAs) and the stage on Queen St West is being constructed by an army of technicians and a mountain of equipment cases. Co-hosted by LMFAO with pop music superstar Justin Bieber also performing - expect fandemonium! 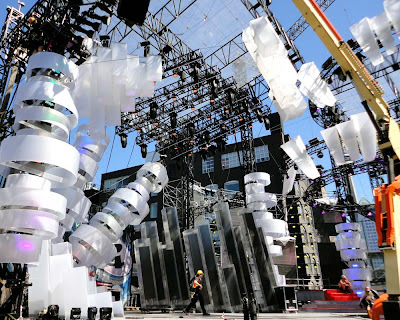 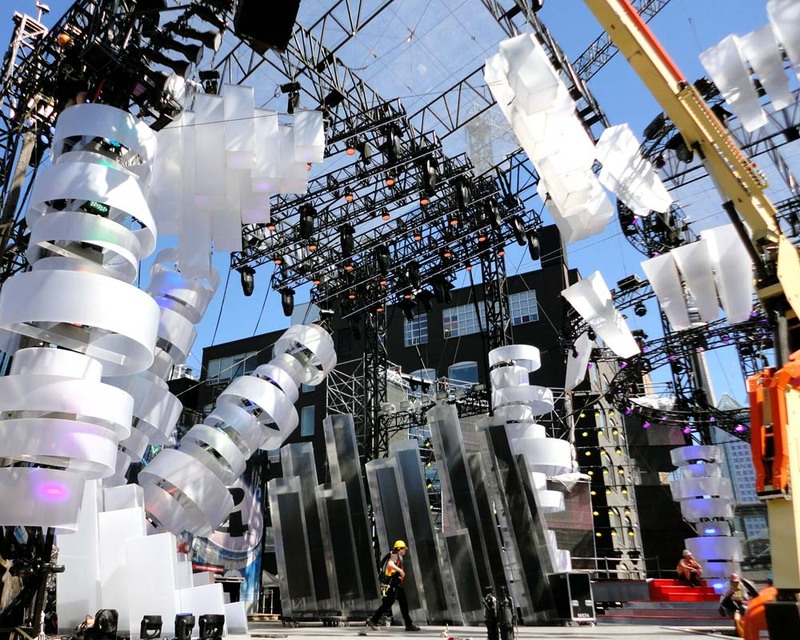 The stage looks like it is built of metal, giant ice cubes and plastic hurricanes and extends along Queen Street and John Street.